Have you just landed from a long and tiresome trip? Are you planning to take your class for a field trip? Whatever the case, you will need some means of transport from one location to the other. The last thing you want is to walk to that meeting or have your students whining throughout the field trip just because you’ve made them walk for the better part of it. The transportation industry has evolved drastically in the recent years. Ground transportation especially, has improved in terms of style and relaxation. It is now easier to go for road trips as a group, get a shuttle immediately you land from your flight and so much more. Private transfers will only charge you for the transfer. Wherever the fuel comes from or whatever its cost is none of your business. Your role is to simply get seated, relax and enjoy the ride. 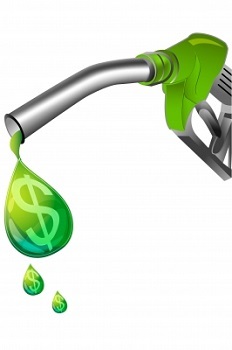 Hiring a car means that you pay for the rental services and any fuel cost that comes along with it. As long as you have made bookings on a transfer, you are assured the driver will be waiting for you and not the other way round. All you need is to pick your luggage and get into the car. Hiring a car will mean queuing at the desk waiting to be attended to before you and others that you found there, can get a rental car. There are a lot of necessities involved in hiring a car and one of them is a lot of paperwork which can be avoided by getting a private airport transfers. None of us would want to go through such hassle after a flight. If you are not familiar with an area, hiring a car will mean taking the main roads or even getting lost in the process. A driver from a private airport transfer has good knowledge of the area and will therefore use the shorter routes and you are assured that you will not get lost. Now that we are in agreement on what to go for after that flight, make sure you are fully equipped with knowledge of the company to go for. Despite the significant changes in ground transportation, it is vital that you take note of the differences in services from various companies. What everyone wants is affordability and quality. These are the two characteristics you need to look forward to when you decide to hire the services of charter bus companies. Our mini bus charter in Perth offers you nothing but the best when it comes to airport transfers.